Patea PNG Quilt Collective: September 3. 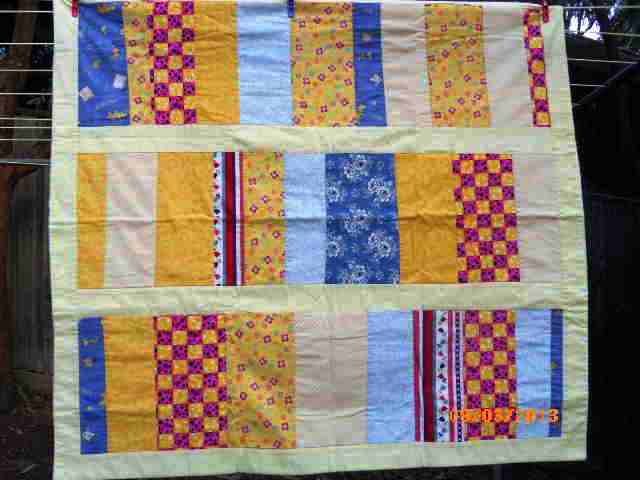 Quilt from Sue W. in NSW. A second cosy warm quilt from Sue. What a great way to use your scraps! How easy it is to make quilts from your stash scraps by simply joining them together, cutting them into neat lengths, separating the coloured lengths with sashing, and finished off with the wadding and backing, or simply a warm flannelette backing!